I struggled on layout for a while but now that is done, I wonder why I took so long. 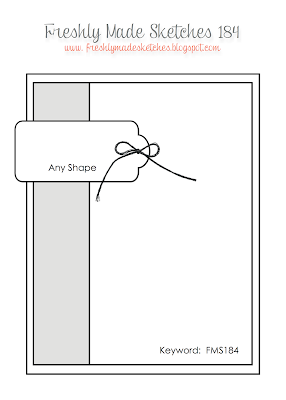 Yes, I do this frequently when designing a card. 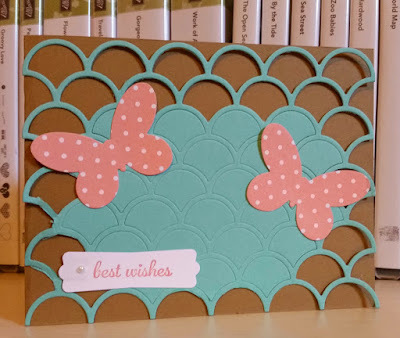 This is my 4th card for card class this week! 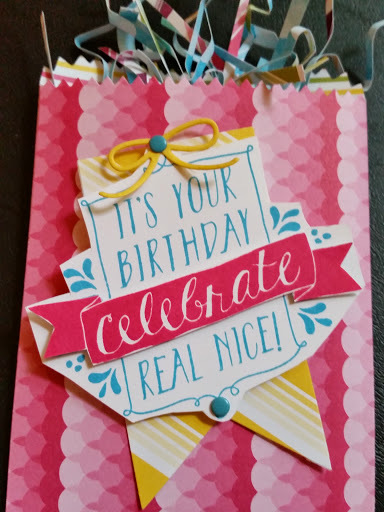 I used the new Paper Stack called Cherry On Top. It comes in a new size of 6" x 6". This size will come in handy with many of the dies I used. A sneak peek of the the new in color Tip Top Taupe! 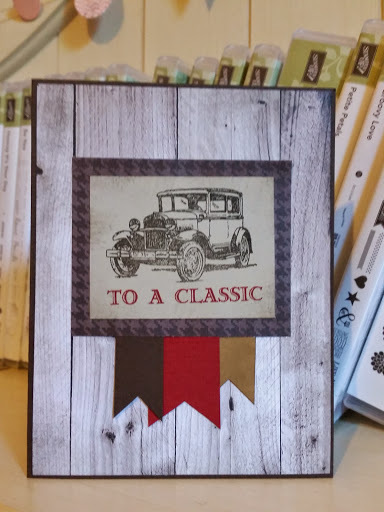 This is the third card for my card class next week and a great masculine card for those who need a birthday or still need a Father's day card. I always like the three panel idea but forget to use it. Glad I thought of it for this card because it turned out great! 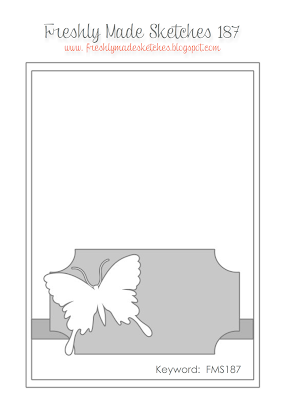 First thing I thought of when I saw the sketch was cutting the square shape out with the square framelits dies but I sat for a while pondering what to put in middle. 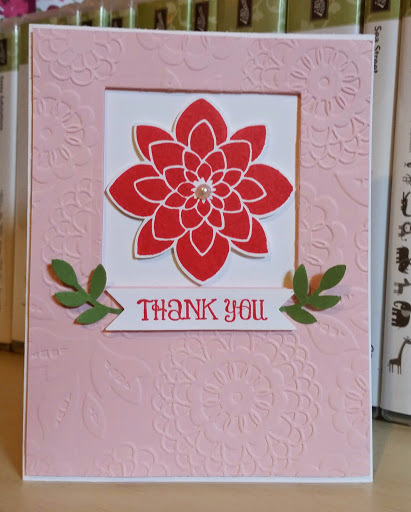 My eye then catch another card in my stash using a similar flower punched so I grabbed my Crazy About You set and stamped my flower in the new in color Watermelon Wonder. I was not crazy about this color until I stamped with it in person and really like it now! I saw a color combo in one of my FB groups for Watermelon Wonder, Wild Wasabi and Pink Pirouette together so went with it here! Thanks for stopping by and head over to join the Freshly Made Sketch challenge this week! I knew I wanted to use new product on the sketch so flipped through the new Cherry on Top DSP stack and grabbed some new Cucumber Crush pattern paper. I water colored the flower from You've Got This with Crushed Curry and Cucumber Crush. I added some 1" dotted lace ribbon also in Cucumber to the card...love the way it feels and easy to work with it. Hope you can join the sketch this week...have fun with it! 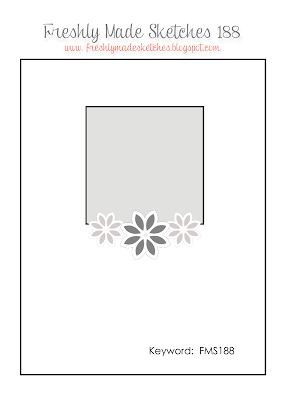 Using some new product again for the second card for card class next week! The new Banner Triple punch...not sure what it did until I received it! 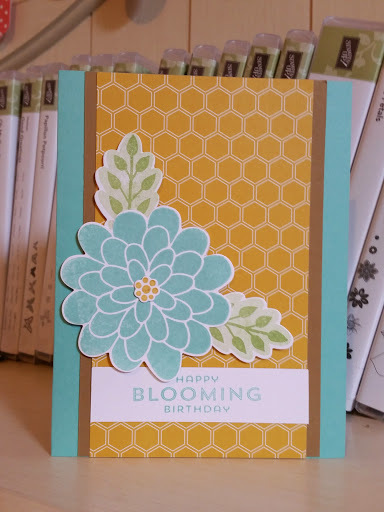 You can cut a 2" or 1 1/2" or 1" strip of card stock in the punch so great for layering like I did on this card. 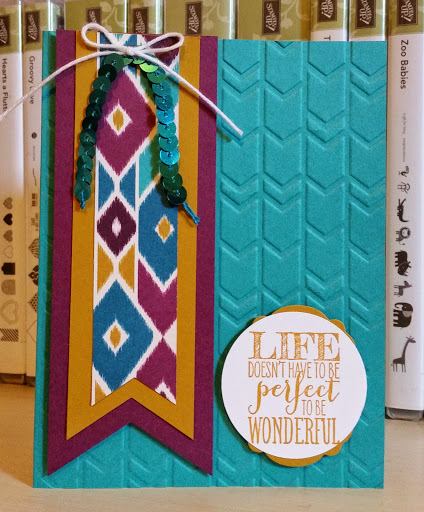 Here is also a peek of the new Bohemian DSP with great bright colors...including the new Delightful Dijon in color! Happy 60th Birthday to my friend and Pretty Pal, Patti Carbonell! She does not look at act her age. Hoping she has a blessed day with loads of fun! 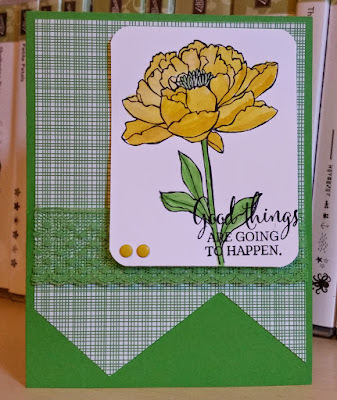 Using some new in colors and DSP on the card! New Ink....always makes one happy! I finally got to get in my studio and play with the new in colors and some new DSP and this new stamp set Called You've Got This. It is the only new one I order from the demo pre order in May because I was not real crazy about the others or did not want right now. I do love the new lace ribbon in the in colors...very soft and easy to tie! I got three colors but will get the other two. 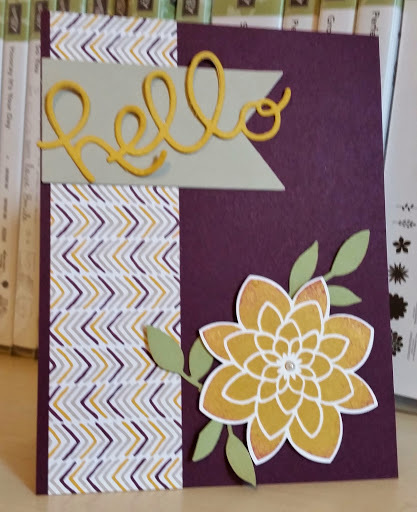 This is my first card for card class next week. Easy but really pretty! I hope you enjoy your holiday and thanks for stopping by! My 19 year old daughter, Amanda made this card for my mom who is having a procedure done to place stints in her blocked arteries this Thursday. 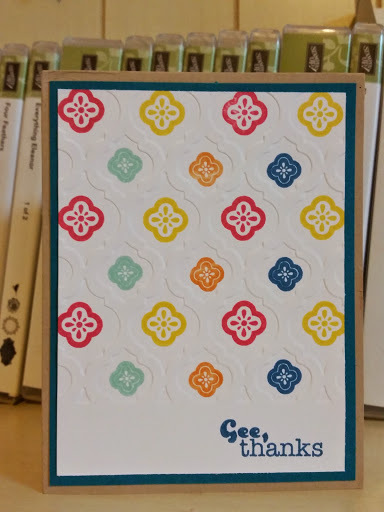 She liked the best wishes stamp but wrote some sweet words inside for her grandmother. Thanks for stopping by today and have a blessed Sunday! Playing around with the dies from the Mini Treat Bag thinlits die and my Groovy Love set and punch. I started with the Moonlight DSP paper stack I am trying to use up as it is retiring soon. Join the sketch challenge this week over at Freshly Made Sketches! Thanks for stopping by and have a lovely Saturday! Well, the idea for this card started with the fact I need to use more of this paper stack before it retires soon! Love the Adventure Bound DSP paper stack but not used it enough. I like things in threes so liked this sketch for the challenge! Go ahead, play along this week with us! Thanks for stopping by and hope your weekend is awesome! 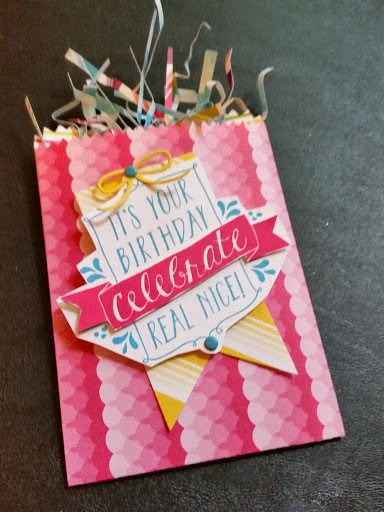 A card for my step father's birthday tomorrow. He loves trains! I hope you have wonderful Tuesday! 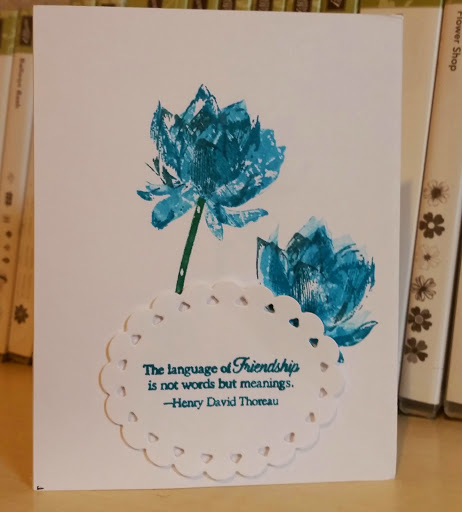 A lovely card from Pretty Pal, Diana Dycus. The blues are so vibrant and pretty! Beautiful card from Pretty Pal, Carrie Young. I love her coloring and the watercolor look in background. And of course the lace! 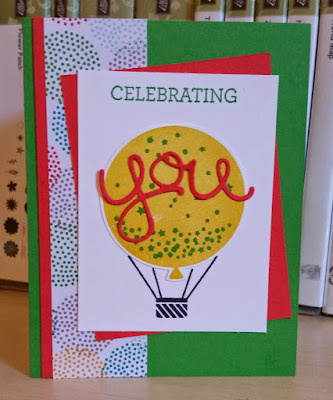 I looked at these three colors together for quite a while and nothing jumped out at me so I picked a stamp set and after I did that it all fell in place! This will work well for a friend's gift card and she loves pink, too! I cut some small strips of the DSP and crumbled up and stuck out of the bag for a celebration effect! I hope you have a blessed Thursday and thanks for stopping by! Great thanks from Pretty Pal, Lindsey Cottiero! Both the set and emboss folder are retiring in June with the end of the 2014-2015 annual catalog and we will have a new catalog start. Oh what fun things we will get our hands on then! 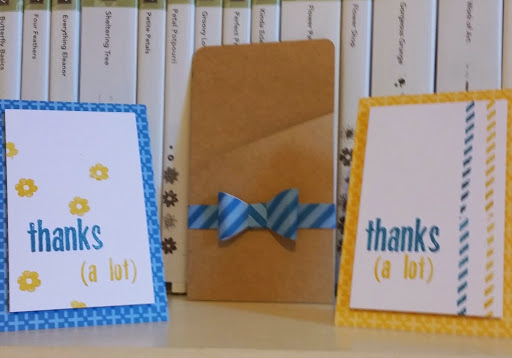 A couple of cards I received a few weeks ago form Pretty Pals thanking me for sets I sold. 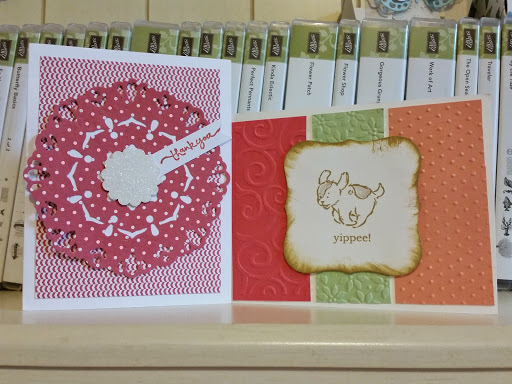 On left from Deba Files and the on the right from Jackie Diediker ..fun cards! 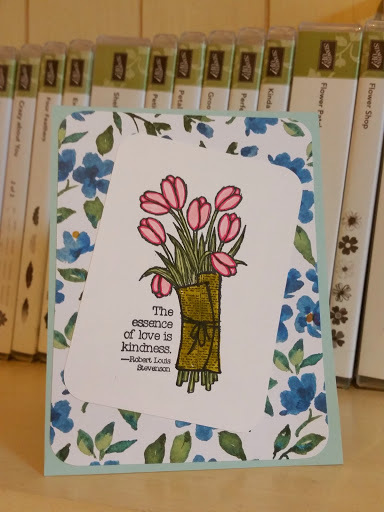 Another lovely card from Pretty Pal, Doreen Buckmore. 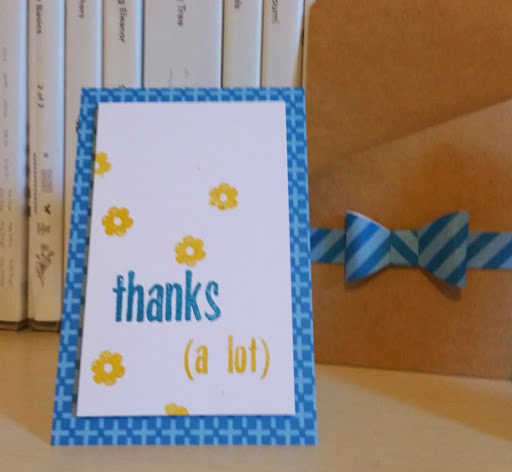 I sold her a retired set and I got a great thank you card! Love her coloring here! Beautiful card from friend and Pretty Pal, Joyce Pyle. I hope to see her in July at SU! Convention. 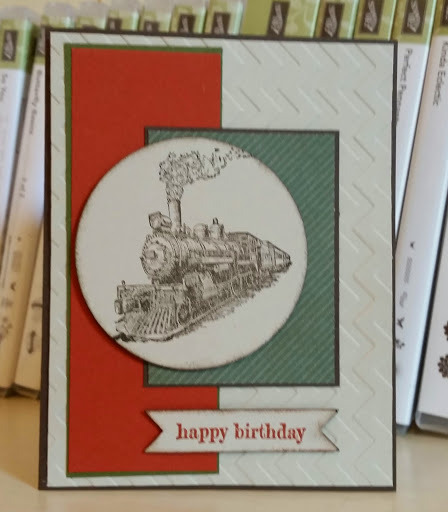 I do not know how you design a card but most of the time I start with the stamp set I want to use. But sometimes I start with the DSP like today. 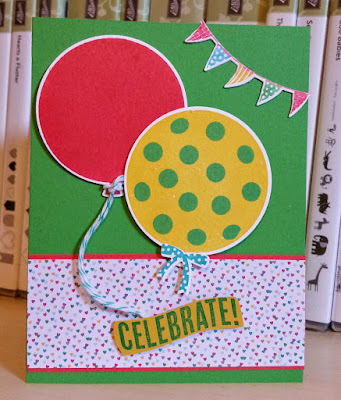 I love polka dots and grabbed this paper. 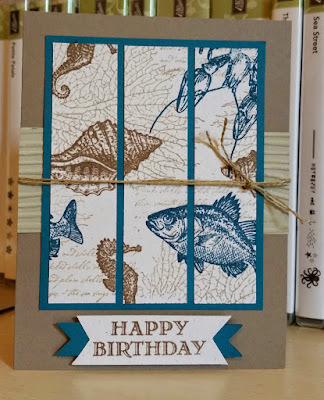 Then I looked through my retiring stamp sets and thought I need to use Mixed Bunch again. I used my color coach to find a color combo with the Crisp Cantaloupe. A little Bermuda Bay always makes me smile! This actually was a quick card! I started with the DSP in Hello Honey and went from there. This sketch has been a popular one lately and a great go to for me! 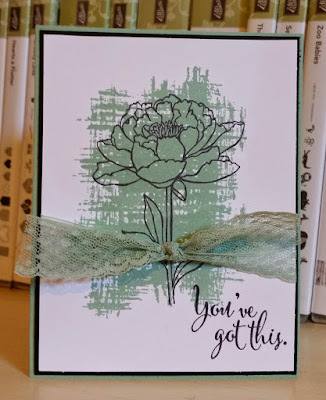 I thought about the Flower Patch stamp set i have not touched in a while so grabbed it know it would be an easy cut since there are matching dies! Enjoy your Thursday and thanks for stopping by! 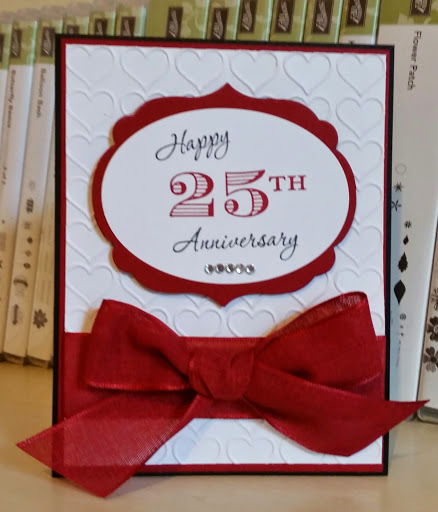 My husband and I are celebrating 25 years together today. But where are we? We have been planning this trip forever! Well, it seems like it! I will have some blog posts while gone but it was hard when going to be gone 15 days! I hope you enjoy your Wednesday and thanks for stopping by! Paper Pumpkin Thanks A Lot! I made a few cards from the April 2015 Paper Pumpkin kit. Using to place in some of the packages I am sending out for retired sets I have been selling. 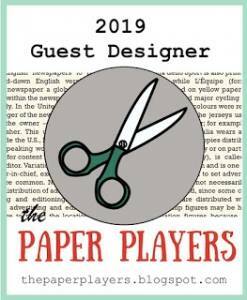 Check out paperpumpkin.com to subscribe today! Perfect timing...I was planning on playing with this DSP and stamp set anyway! Fun challenge! Not straight with my sentiment but who cares? My Dad will not! 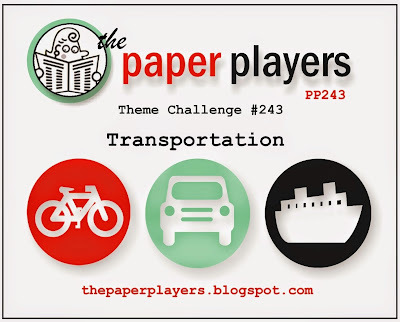 Hope you play along this week with the Paper Players challenge! Have a awesome Monday and thanks for stopping by! 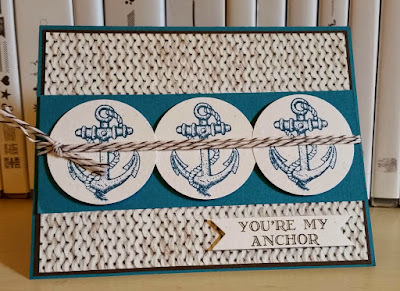 This is a card I designed for a one on one swap hosted by my friend and fellow demo Brian King over at stampwithbrian.com. 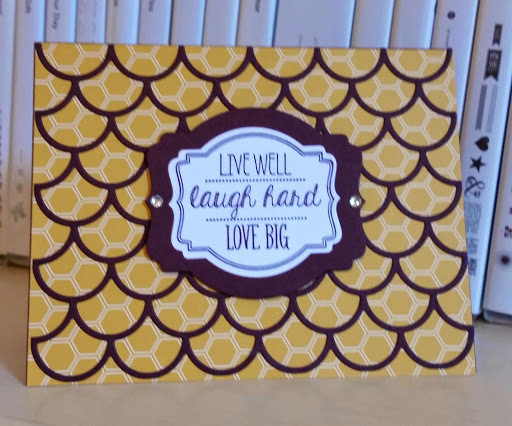 I love using the Striped Scallop die and I am learning to use the adhesive transfer sheets. 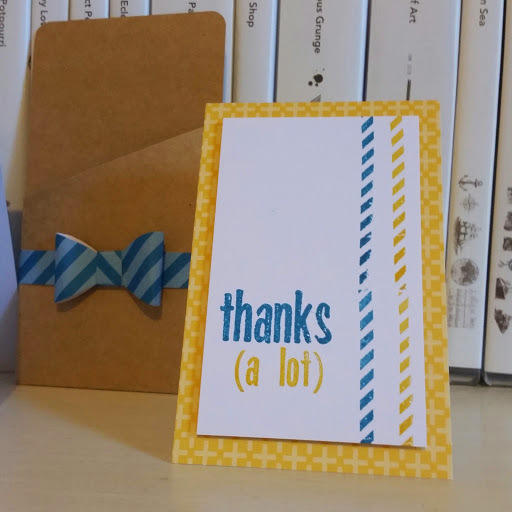 They make a big difference and adhering this die to card stock. Stamp set: Oh, My Goodies! 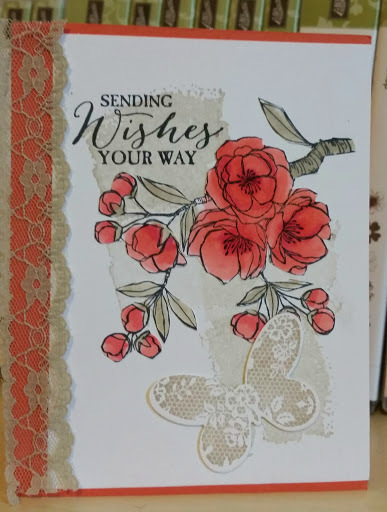 I was designing this card when I saw a request on FB from my friend and fellow demo Linda Callahan at stampinseason.blogspot.com for her mother. 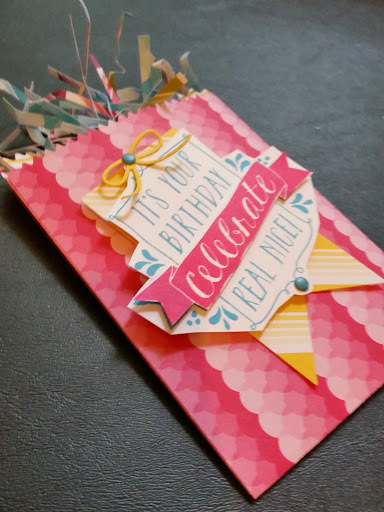 She was requesting 90 birthday cards for her mother's 90th birthday! 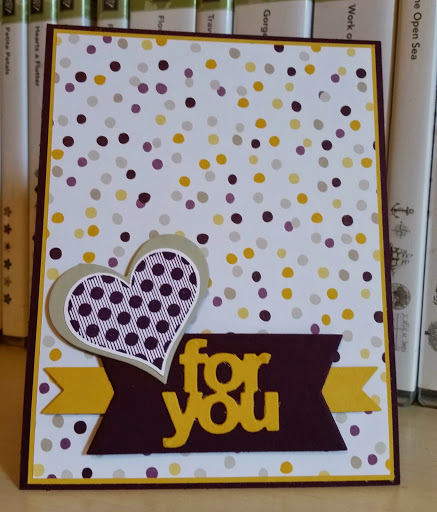 I then decided this card was a birthday card for her mom! 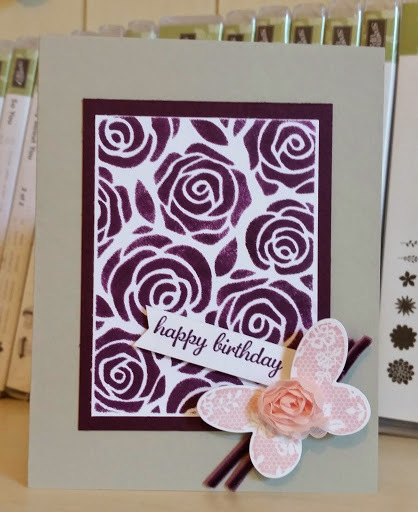 I did sponged ink on the stencil of roses from the Artisan Embellishment kit from the occasions catalog. Love it...must do more! Of course, I started with purple (Blackberry Bliss). I really did not know what I would do for the top any shape part but then when I pulled out this flower from Crazy About You set, it reminded me of my Hello You thinlits dies. 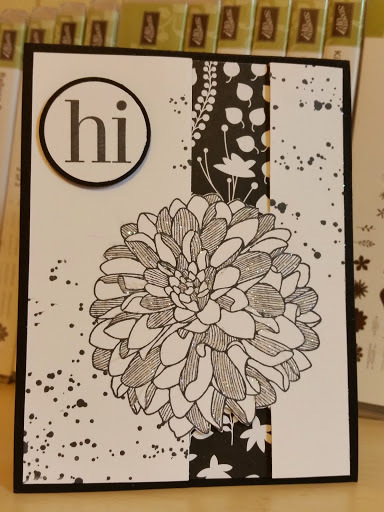 I inked my flower in Hello Honey then took a sponge and lightly inked some Blackberry Bliss on edges. Have a blessed Friday and great start to your weekend!